Our lives are in the North Bay and we possess in-depth knowledge of our local communities that comes from the heart and time spent living here. You’re not just a customer to us; you’re our neighbor. All of our energy and focus has been and still is dedicated here – where we live, work and play. We’ve come to know our communities intimately, and we are proud to share some of our highlights with you. Larkspur’s picturesque main street has many fine historic Victorian homes. Magnolia Avenue, running through the downtown area, and is known for its fine restaurants and shops. It has a small town feel. It is also home to Marin County’s largest ferry terminal. Corte Madera has several wildlife preserves, the largest being the 204-acre Ecological Reserve, a sanctuary for local and migrating waterfowl. 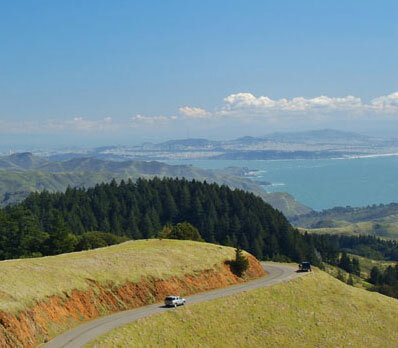 On the eastern edge of town, the Ring Mountain Preserve offers hiking and biking while enjoying unsurpassed views of the Bay. Good, local schools have attracted a large number of children. Corte Madera is a fairly affluent, middle class suburb with almost two-thirds having college degrees. Corte Madera has many parks, from small to large areas with tennis and basketball courts, baseball fields and soccer facilities. Larkspur has one large park with ball fields, and a playground. There is a Twin Cities youth little league and extensive youth programs. Fairfax is a friendly town, large enough to provide shopping convenience in town, but small enough to foster a true sense of community, where neighbors know each other and meet in the pleasant downtown areas. 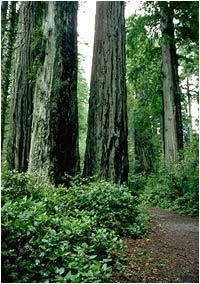 San Geronimo Valley offers forested hills and open spaces. The Ross Valley School District is an elementary/middle school district serving the central Marin communities of San Anselmo and Fairfax. Most Ross Valley graduates attend Sir Francis Drake High School in the Tamalpais Union High School District. The district includes four schools: Brookside Elementary School, Manor Elementary School, Wade Thomas School (K-5) and White Hill School (6-8.) The Lagunitas School District is a K-8 district on two adjoining campuses: Lagunitas Elementary School and San Geronimo Valley Elementary School. Both sites are located in the center of the San Geronimo Valley which includes the towns of Forest Knolls, Lagunitas, San Geronimo and Woodacre. Lagunitas School District students reside in the Tamalpais High School District. This community is ideal for outdoor lovers. 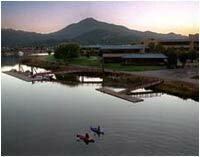 There is one main park and nearby hiking and biking trails around Bon Tempe, Lagunitas and Alpine lakes. Gracious homes, stunning views, wooded neighborhoods and good schools distinguish the Greenbrae and Kentfield communities. Growth in these communities was augmented by construction of the popular Bon Air Center, home of a number of businesses. Because of the way development and annexation preceded, many Greenbrae homes are actually in Larkspur. Greenbrae is home to Marin General Hospital, the county’s largest medical facility, and a wide range of clinics and medical specialty offices. Novato began as Rancho de Novato, a Spanish land grant. Incorporated in 1960, it encompasses 28 square miles and has a distinct country-suburban feel. Features and landmarks include the huge Vintage Oaks Shopping Mall and Hamilton Field, a former air base converted to a residential and retail complex. It is also home to the Buck Institute, an internationally recognized scientific center focused on aging research. 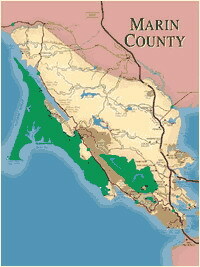 Novato is one of the larger populations in the County and has one of the highest education levels. The Novato Unified School District serves students in kindergarten through grade 12 in north Marin. The district includes eight elementary schools, three middle schools, two high schools, one continuation high school, an independent study program for K-12 (NOVA) and two charters, one K-8 and one high school. 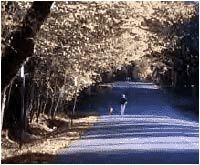 A number of parks exist throughout the city and in some outer regions. Many youth and adult programs are available through the Parks and Recreation Department. There are many restaurants, churches, movie theaters, and a public library. 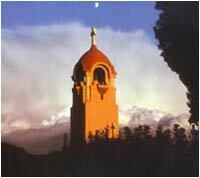 Ross is located between San Anselmo and Kentfield in the middle of Central Marin’s Ross Valley. The town got its name from James Ross, a Scotsman who came to California during the Gold Rush, made a fortune selling wine in San Francisco. He bought a tract of land in 1857 where the town now stands. Ross features some of the oldest and most exclusive estates in the County, both in the hills and along Shady Lane, a tree-lined road that connects Ross to neighboring San Anselmo. The small downtown has a grocery store, post office, butcher, florist, and a few small cafes and some offices. Ross has citizens of all ages. Residents generally have achieved a higher level of educational, and most work in mostly white color professions. The Ross Valley School District has an elementary middle school district serving the central Marin communities of San Anselmo and Fairfax. Most Ross Valley graduates attend Sir Francis Drake High School in the Tamalpais Union High School District. The district includes four schools: Brookside Elementary School, Manor Elementary School and Wade Thomas School for kindergarten through 5th grades; and White Hill School for grades 6, 7 and 8. 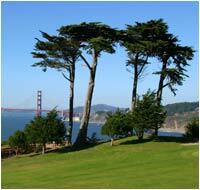 Ross has one park and the Marin Art and Garden Center with playground and picnic areas. Children play in the Ross Valley Little League. San Anselmo was once the railroad hub of the County. It is larger than many of its neighbors, but retains a feeling of small town charm. The self- proclaimed “Antiques Capital of Northern California” has about 130 antique dealers, many bookstores, coffee shops, boutiques, and restaurants along San Anselmo Avenue next to Creek Park. Homes are typically older and smaller than those in nearby Ross. 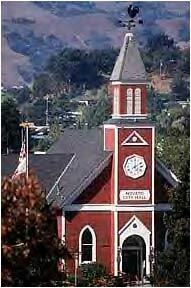 San Anselmo citizens are highly educated, and most people work in managerial, technical or sales professions. Sausalito was named by a Spanish explorer for the little willows, or “saucelitos” growing along its shores. After incorporation in 1893, it became a major ferry and railway center, then a shipyard during World War II. It’s a favorite tourist destination for its art galleries, restaurants and boutiques lining Bridgeway and for the beautiful homes that line the hills facing the bay as well as the harbor. Its character is reminiscent of towns in the Mediterranean. The Bay Area Discovery Museum, a children’s exploratory learning center, is located in Sausalito at the base of the Golden Gate Bridge. Sausalito’s mid-sized population includes mainly adults over 25. Many are single, and most are well-educated and work in managerial, technical or sales professions. The Sausalito Marin City School District (SMCSD) is an elementary (K-8) district drawing its student population from Sausalito and Marin City. The district has three schools: Bayside Elementary, Martin Luther King, Jr. Academy, and a charter school. SMCSD students attend high school in the Tamalpais High School District. The community is a veritable play land with parks and playgrounds, boat docks, trails and state recreation facilities all within a short distance of downtown. 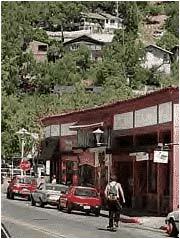 Tiburon has a moderately sized population encompassing all ages. The well-educated townspeople work in managerial, technical, and sales positions. 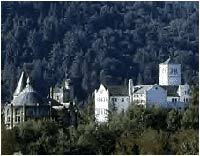 Belvedere has a small population. Almost three-quarters of residents are over 35. The populace is homogeneous, married, and most often university educated.